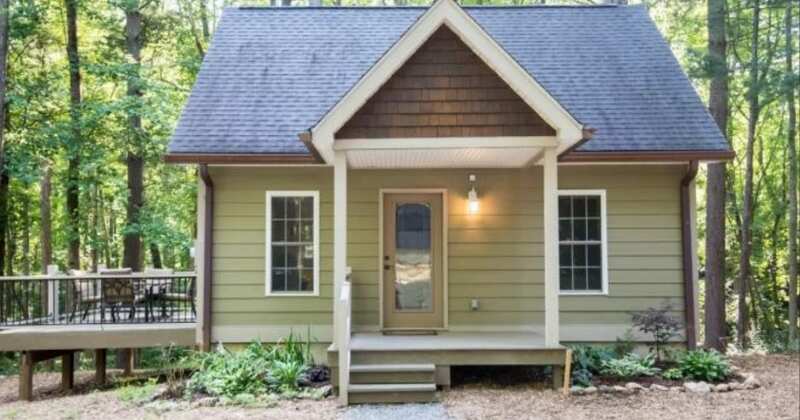 Tiny homes are absolutely adorable and the perfect place for a weekend getaway. 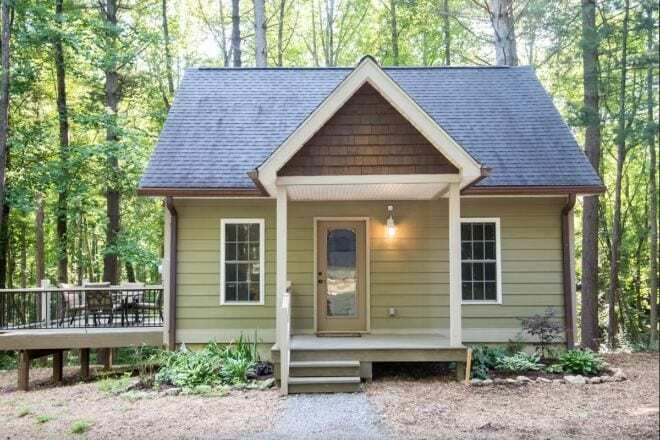 Especially, when they are situated in nature like this tiny home located in a 5.5-acre forest in Western North Carolina. 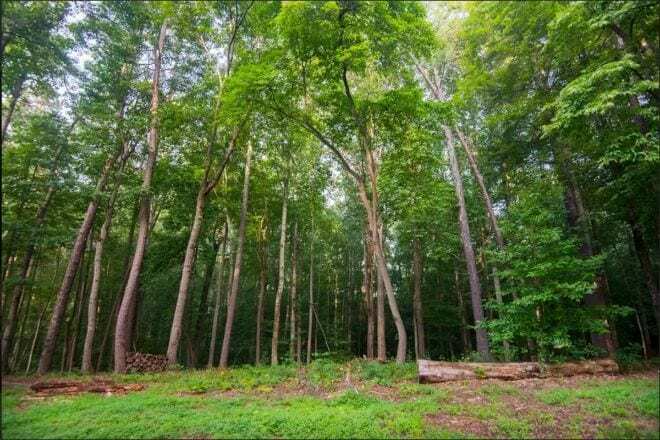 According to owner Doug, this house has the “best of both worlds” since it is in the woods but only 15 minutes from the city of Asheville. It’s also in close proximity to Blue Ridge Parkway and the Smokey Mountains. He would list it on Airbnb for travelers to rent but it isn’t currently listed. But even though this is a tiny home, it has everything a large home has. And it looks like one too. The exterior of the home isn’t industrial or makeshift looking. It looks like your average home. It has a beautiful shingle exterior, a gorgeous door, and two large windows. When you walk through the front door, you enter the living space. 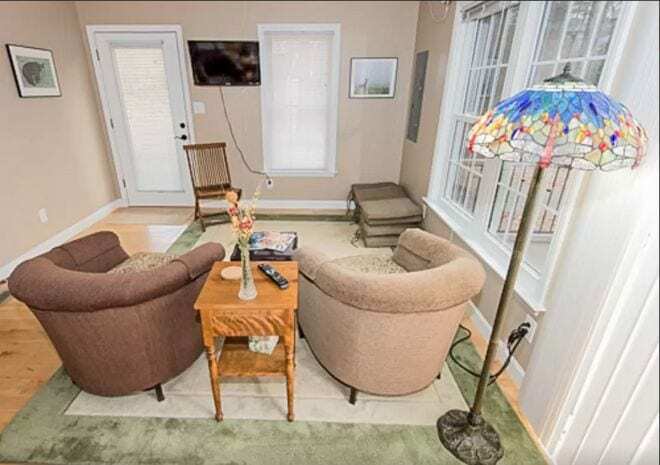 There are two chairs that are seated across from a wall-mounted television. Behind the living room is a fully functional kitchen. 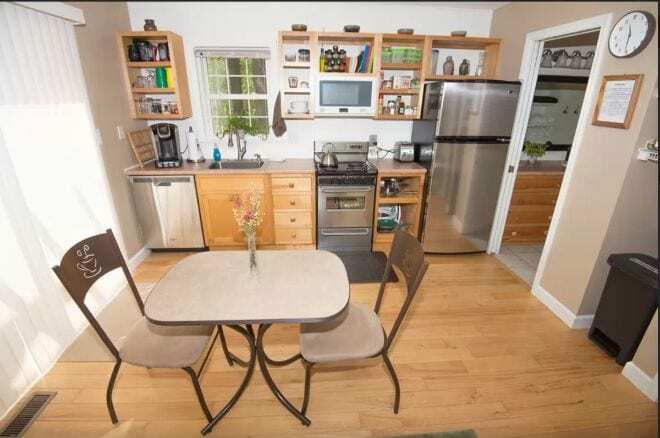 There is a table and chairs for two, a dishwasher, sink, oven, and four-burner stove as well as cabinet space. There’s also a full-sized refrigerator, toaster, and microwave. You’ll find the bathroom off of the kitchen. And it’s rather large and luxurious. There’s a large vanity with lots of cabinet space and a sink. There is also a toilet and full-sized shower and bathtub. There’s shelf space built into the wall to house towels and linens so you don’t have to bring any with you. 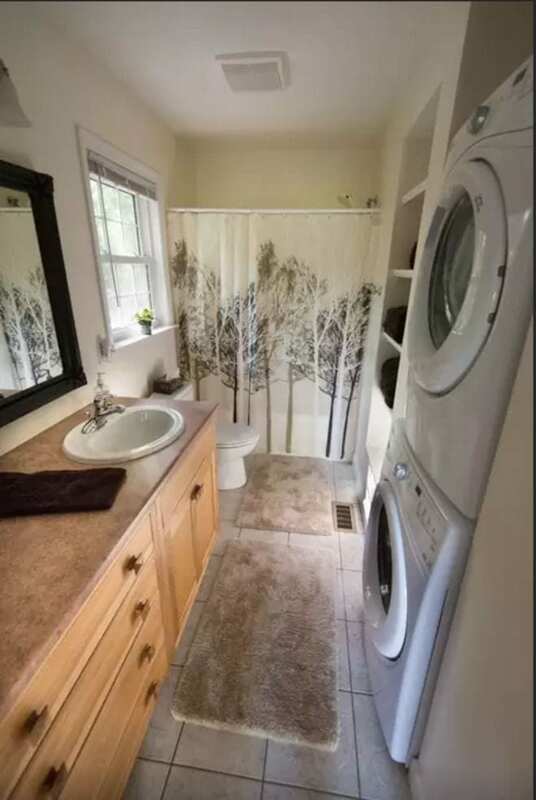 The bathroom also houses a washer and dryer. So, you can do your own laundry during your stay. 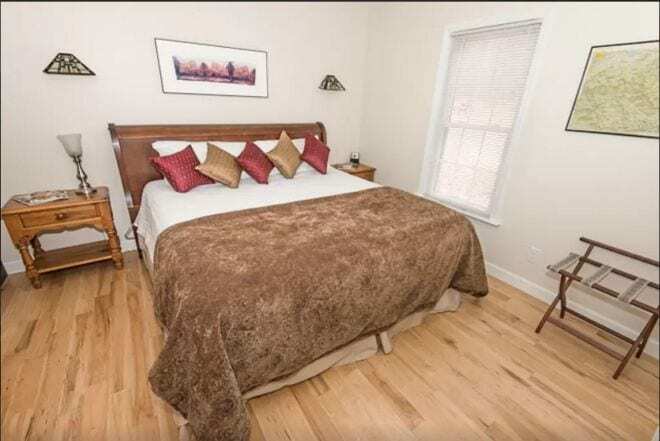 The house’s bedroom isn’t short on space either. Inside you’ll find a king-sized bed and space for nightstands. This tiny home also has entertaining space. 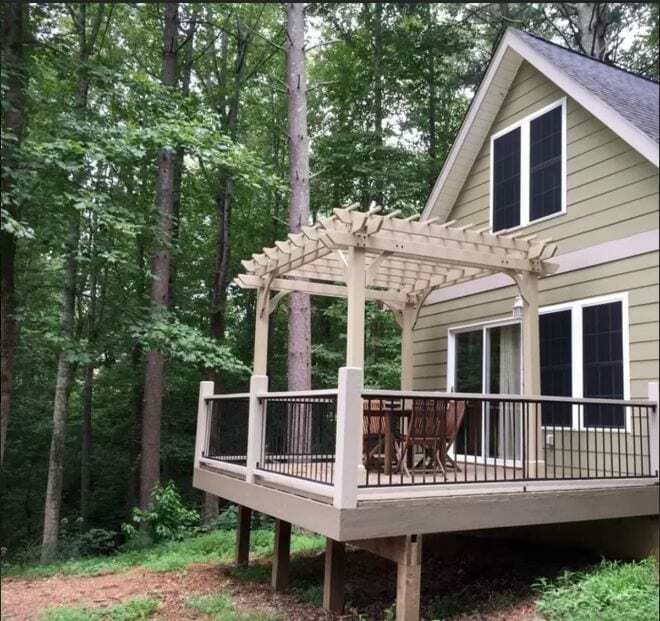 There’s a large deck which is something you don’t usually see in tiny homes. It has a large table that seats four. 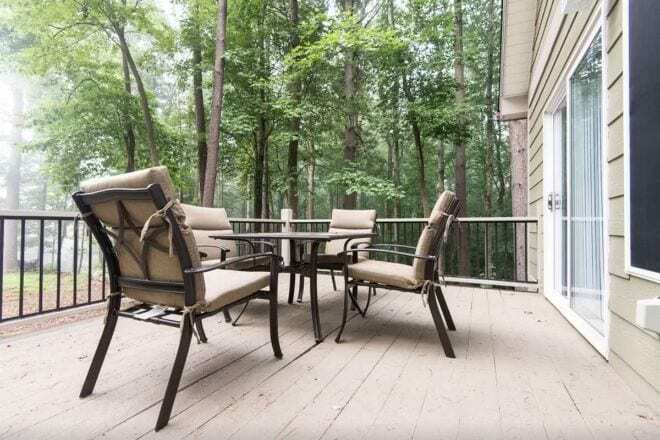 The view from the deck is absolutely gorgeous and overlooks all the tall trees in the forest. It’s a great place to enjoy your meals. It’s also sectioned off by a railing for safety. This tiny home has everything you could possibly need for a weekend getaway. You won’t miss out on anything just because this place is smaller than your average house.